DVD Optical drives & burners. 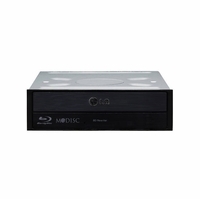 Shop from DVD & Blu-Ray PC drives to satisfy your optical storage requirements. We carry both internal and external drive options to enable you to transfer and access files & media in any format you wish. Deciding which type of drive to buy depends on the how they will be used, which types of media they will read and which type of system you have at home or at work. We have a wide variety of internal and external drives to choose from, available for both desktop and laptop model computers. What are the different types of optical drives? The main difference between optical drives comes down to the color of the laser used, as this affects disc read/write speed, data capacity, and which type of drives can read them. drives have been standard on computers since the early 1990's, and have changed very little since their inception. CD drives use a near-infrared laser with a very large wavelength to read discs, which means that these discs hold the least amount of data, only around 700MB. On the plus side, when written as audio discs they can hold up to 80 minutes of music files, and can be read by virtually any cd player you might own, such as your car or home stereo. CD drives are best used in applications that involve smaller filesizes such as music, pictures, and documents. are the next step up in optical media, using a smaller red laser to read and write data on the disc. DVD's can hold up to 4.7GB of data per disc, which makes them a much better choice when storing data files or transferring media. Though they cannot be read in traditional CD audio players, DVD's can hold entire movies and can be read in any compatible DVD player. DVD drives are also backwards compatible with CD's, which means you won't need separate drives for CD's and DVD's, as your DVD drive will be able to play both flawlessly. DVD's are best used in applications that require large amounts of storage space or involve large numbers of files. are the new standard of optical media storage, using an incredibly narrow blue laser to compress the maximum amount of data currently possible onto a single disc, a whopping 25GB! That's equivalent to almost 13,000 digital photos! Blue Ray BRD's are capable of holding up to 4 hours of high-definition video, or over 11 hours of DVD quality video. 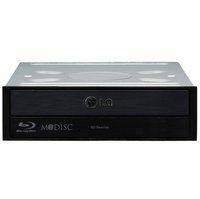 This makes Blu-Rays the optimal choice for anyone interested in getting the best video quality possible out of their computer. 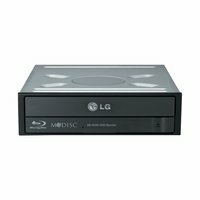 And like DVD's, Blu-Ray drives are backwards compatible with both DVD's and CD's, so you only need one Blu-Ray drive to play any type of optical media on the market today. Blu-Ray discs are best used in applications with huge file sizes, such as HD video or data backups. What does "ripping" or "burning" a disc mean? discs is usually in reference to audio CD's, where the music files are copied from the CD onto your hard drive. This can be done with most media player software, and it is likely your PC has more than one CD ripping program installed right now. a disc involves writing data to a disc for later use with a "burning drive". This can be done with any type of optical media, so long as the proper software is used. The amount of data that can be stored on a disc depends on the type of disc being burned to, so please refer to the previous section to choose the correct disc for your application. There are a variety of terms that can be used to describe disc burning drives, but the two major types to be concerned with are recordable drives and rewritable (RW) drives. Please read the following section carefully to see which type of drive best suits your needs. are the simplest types of burning drives, and are notated by "-R" after the type of drive, such as CD-R, DVD-R, and BRD-R or BD-R. These storage devices burn on single-use discs that can be written to but not erased, so once the data is recorded on the disc it cannot be changed. are more capable than their simple recordable cousins, and can be identified by "-RW" after the type of drive, such as CD-RW, DVD-RW, and BRD-RW or BD-RW. These drives use specialized rewritable discs which can be written on, erased, and written on again hundreds of time. These are great if you need to update your stored files constantly but don't want to waste discs. Part of the reason DVD and Blu-Ray discs are so great for storing information is because they can have two layers of information stored on them, doubling their data storage capacity. This means a dual layer DVD-R can hold up to 8.5GB of data, and a BD-R can store almost 50GB of information! This can be great if you need to store a large amount of data and don't want to spread it out over several discs, but just be sure that both the drive and disc are compatible with this method of writing. Do I need an internal or an external drive for my computer? Optical drives come in two main design types: internal and external drives. 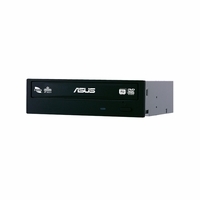 are great for tower and desktop PC's, and are installed in one of the available 5.25" drive bays. They are designed to only be removed through the use of tools, so they become a permanent part of your computer once installed. 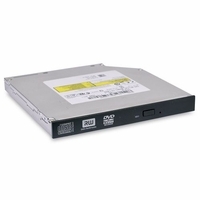 Modern optical drives connect to your computer through the use of high speed SATA connectors, so make sure you have an available slot on your motherboard before buying. Also, many drives do not come with SATA cables included in the package, so be sure to add one to your order if you need it. are not permanently attached to the computer itself, and are intended to be connected when needed, then disconnected and stored when not in use. 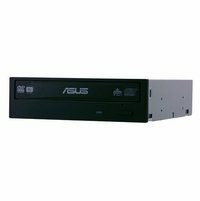 This is ideal for laptop users who have intermittent needs for optical drives but don't have one installed or don't want to carry one around all the time. External drives commonly connect to your computer via USB 2.0 or 3.0, which gives you more than enough speed to transfer files of any size. 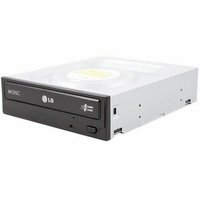 , as the name implies, fit in the optical drive bay of laptop computers. Just like the internal drives found in desktop PC's, these must be installed with the use of tools so that they will become a permanent part of the computer, communicating with the motherboard directly instead of through USB. If your laptop has an available optical drive bay, internal laptop drives are the best option for enhancing the capability of your laptop while keeping the sleek, uncluttered look of your system. 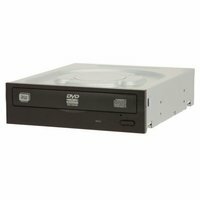 What does the speed rating on the DVD drive mean? DVD-ROM Drive speeds are written in the form of a number followed by an X. The number is a representation of the transfer rate of the drive (how fast the drive can read data from a DVD). Standard transfer rates are 1.32MB/s (mega-bytes per second) for every X value. To find your drive's transfer rate simply multiply its rating by the 1.32 MB/s factor.